This digitally colorized scanning electron microscopic (SEM) image depicts an orange-colored amoeba, Hartmannella vermiformis, as it was entrapping a green, Legionella pneumophila bacterium with an extended pseudopod. 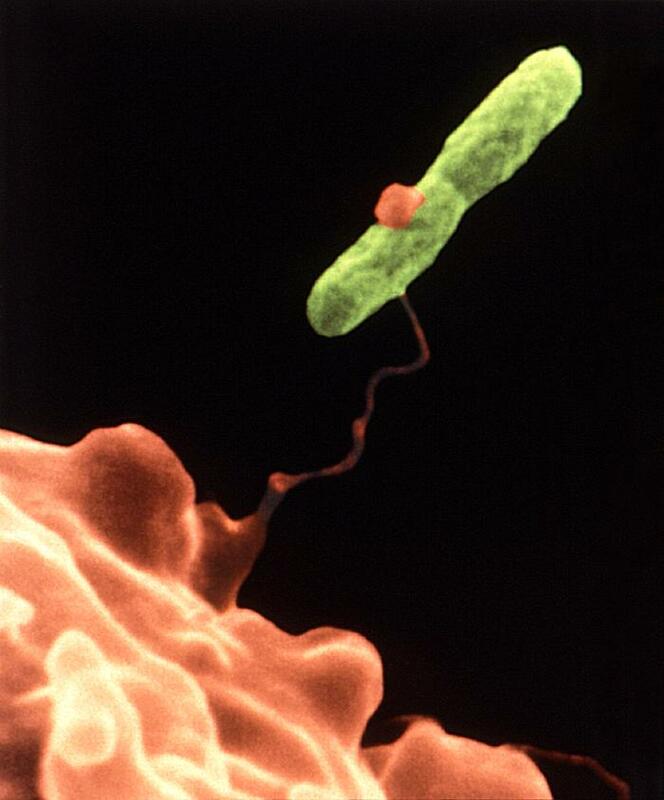 After it is ingested, the Legionella pneumophila bacterium can survive as a symbiont within what then becomes its protozoan host. The amoeba then becomes what is referred to as a Trojan horse, for by harboring the pathogenic bacterium, the amoeba can afford it protection. In fact, under adverse environmental conditions, the amoeba is able to metamorphose into what is known as, its cystic-stage, enabling it, and its symbiotic resident pathogen, to withstand such environmental stresses.